Now he might not be much for the spotlight. But you put him in one of those high-stakes games Jim France will push the button. And it's a high-stakes moment for NASCAR racing...with the Brickyard 400 coming up to kick off the second half of what has so far been a rather lackluster season out on the asphalt...and with the Brickyard 400 these last few years having lost a lot of luster...and with that new TV contract simmering on the front burner. 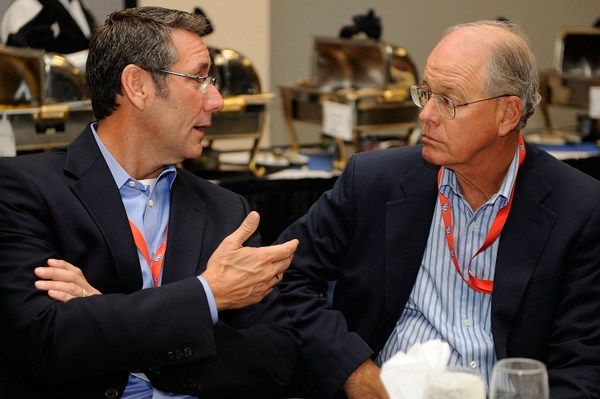 So France -- the man who, as brother of the late Bill France Jr., owns controlling interest of this entire sport -- is pushing a lot of chips into the pot, putting a lot on the line, to jump-start this deal again. Jim France has long held a very well-respected position in this sport, even though he prefers to play behind the scenes instead of out front. Veterans well remember how he handled that sudden crisis of confidence 12 or so years ago when Bill Jr. was first diagnosed with cancer, a moment that shook this sport to its core, as key as Bill Jr. had been to every aspect of this sports business for so many decades. Jim strapped on his chaps, fired up his bike, and headed up the backroads from Daytona to Darlington Raceway, to meet privately, individually, with every team in the NASCAR garage, to reassure everyone, quietly, about the future. Now, here, to put it very bluntly, this Brickyard 400 has got to be a 'must see' event again. 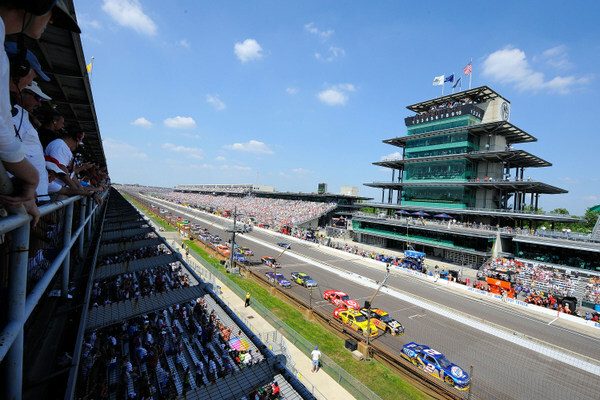 And to be sure, there are questions about whether or not this 'Four races, three days, one track' package of racing at Indianapolis Motor Speedway will really pan out. Indeed, this may well be one of the most confusing weeks of the season, and one of the most curious. Sunday's Brickyard 400, which drew about 140,000 fans last summer, barely half-filling this mammoth facility in the middle of town, hasn't been a hot sports draw the past three years. Blame it on whatever -- the economy, or that 2008 tire debacle, or simply boring action on this huge square-shaped track -- but it's a far cry from the way things used to be for NASCAR at this famous track. This time around, however, the NASCAR Frances and the Speedway owners have added two new events to the package, a Nationwide race Saturday afternoon, and a Grand Am sports car race Friday. Sports car racing over the years has been a niche. How well that part of the package might work here is quite debatable; but it's just another piece of Jim France's laudable push to get this part of the sport more prominent. The Kansas Speedway road course and the Pocono Raceway road course are two more pieces of the France push. The sports cars will take advantage of Indy's Formula 1 course (which runs clockwise, and counter to stock cars). But just the logistics of turning Thursday's Nationwide stock car course into Friday's sports car road course, and then turning the whole thing back to a Cup stock car course for Saturday's first Sprint Cup runs, well, many here are anticipating much chaos, particularly when considering all the extra race car haulers and extra souvenir haulers involved. How much all of this will actually put more fans in the stands is unclear. Last weekend's NASCAR stand at Chicagoland Speedway was only sparsely attended, hence increased worries here. Plus even a crowd of 40,000 for Friday's Grand Am show -- which would be a good audience for that series -- would still make these cavernous grandstands appear all but empty. Thus there are many marketing questions about this entire weekend....before even addressing the idea that Cup speeds here are simply too fast for good racing action. This track has long been known as a follow-the-leader track, because of the long, high-speed straights and virtually flat 90-degree corners. Contrast that to three-wide action and numerous passes for the lead -- on the track under green -- at the identically designed Ontario Motor Speedway, when that track was on the NASCAR tour. The difference? Cars were much slower. Speed -- too fast? -- has been a hot issue in this sport lately, and next Monday's big test at nearby Michigan International Speedway will be the next round in that debate. A few weeks ago NASCAR stockers hit a stunning 220 mph on the straights there, amid tire problems. Hence Monday's looming test. Expect speed-limiting gearing to be part of the new Michigan game plan. What to expect here in this 400? Another gas mileage race, another track position race. Paul Menard and crew chief Slugger Labbe played it all perfectly here last summer, scoring what was a very emotional victory for Menard, and a very satisfying victory for Labbe. This season Menard and the rest of the Richard Childress operation go into the second half of the season all still winless...though there have already been 12 different tour winners in the year's 18 races so far. While teammate Kevin Harvick is ostensibly the leader of the Childress three, Menard is perhaps the most consistent. However Harvick is already pretty much locked into the playoffs, while Menard and Labbe are fighting to make it -- 15th in the standings, with seven races to make the cut. 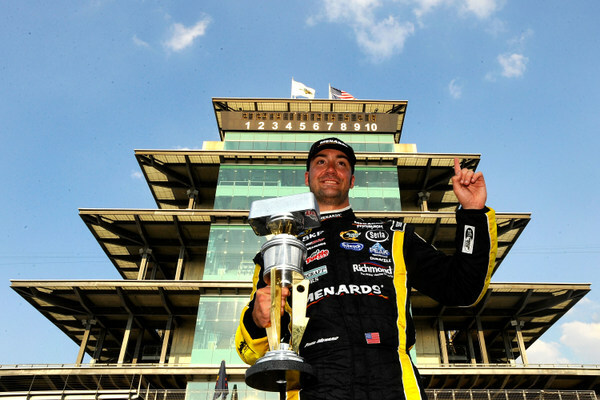 Menard will warm up for the 400 by running in Saturday's Nationwide race, the first for that tour here, after many years playing at the cross-town short track. Menard and Labbe come here under pressure to make the playoffs. "We have to get better as a team," Menard says. "RCR as a whole has run competitively this year, but we need to get better to make the next step up -- everywhere, from Kevin and me and Jeff (Burton). "Across the board. And we have been doing some testing, trying to develop some new ideas and theories. "In order to do that, we have to take more risks -- if it comes to fuel mileage at the end, maybe gamble a little." But flat tracks...."The flat short-tracks have been our Achilles Heel: New Hampshire has been probably my worst track on the schedule; we came away from there with a 17th-place finish. "The intermediates, the big flat tracks -- Indy, Pocono, Michigan, Texas -- places like that have been our strong suit."